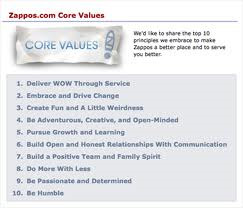 At the 2010 Las Vegas Growth Tony shared several of Zappos interview questions directed at discovering whether candidates presently share Zappos Core Values. Tony came up with “Do you consider yourself lucky?” Tony described an experiment he’d read about people who self-described themselves as "lucky." These “lucky” people picked up more hidden clues in a quiz. He described a test experiment in which two groups of people are given newspapers with hidden messages. While they are told to count certain images, the headlines and text on the pages have hidden messages telling them they are done and to mention a particular message to collect an extra $100. People who answered that they were "lucky" were much more likely to find the clue. Tony revealed that the people who had indicated they were not luck failed to find the message at all. Here I am almost 2 years from my discovery of cancer, still alive, much to the amazement of the medical profession. Do I feel lucky? You bet! Do I have faith and confidence in the principles of Strategic Discipline? Absolutely! Let me know if you and your business would like that kind of confidence in coaching you. Next opportunity to attend a Positioning Systems Mastering the Rockefeller Workshop Four Decisions Workshop comes April 29th. Please decide to join us! It’s ironic that I started to write this on Tuesday of this week and events subsequent have brought further perspective to this discussion. Next blog I explain the events and share this perspective.